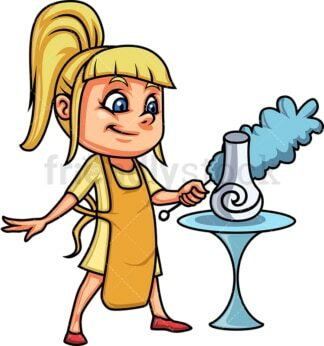 Royalty-free stock illustration of a little girl with blue eyes, blonde hair and a ponytail, dusting a vase in the living room of her house. 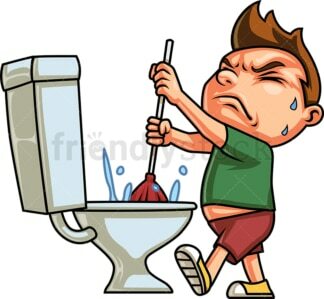 Royalty-free stock illustration of a little boy with brown hair having a hard time using a toilet unblocker tool to unclog a clogged toilet. Royalty-free stock illustration of a nerdy little boy with brown hair, wearing glasses, scrabbing the floor with a brush. Royalty-free stock illustration of a blond little boy wearing dungarees and a casual t-shirt, looking focused as he uses a broom to sweep the floor. Royalty-free stock illustration of a cute little girl with brown hair and green eyes smiling while holding a spray cleaner and a squeegee. Royalty-free stock illustration of a little boy with dark hair, wearing protective rubber gloves and playfully using a spray cleaner to clean a window or a surface. 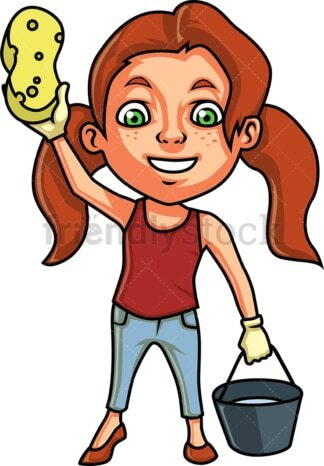 Royalty-free stock illustration of a little girl with red hair and green eyes holding a bucket and a yellow sponge, ready to do some house cleaning to help mom. 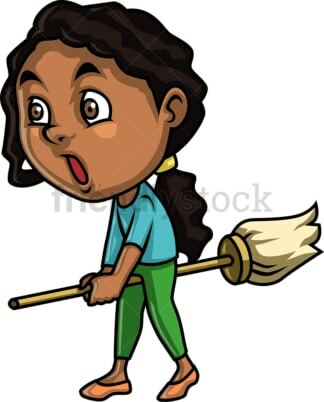 Royalty-free stock illustration of an African-American little girl with dark curly hair, brown eyes and a low ponytail, riding a broom like a witch and messing around, avoiding to clean. 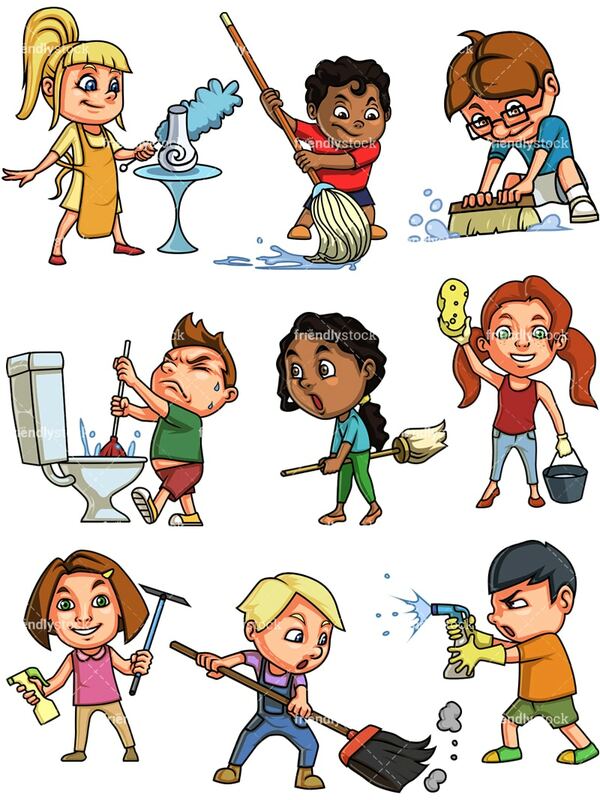 Royalty-free stock illustration of an African-American little boy with dark curly hair, looking like he is having a hard time using a mop to clean after his mess.